Neuro-Machine Interface Laboratory focuses on bio-embedded systems which combine the electrical control systems based on computers and the nervous systems including the brain, spinal cord, and muscle nerves. We have the capability to record electroencephalogram (EEG) using 64 channels on the scalp (Neuroscan) and the facility to align animals for the stereotaxic placement of electrodes (David Kopf). We are applying these hardwares and our own technologies such as fuzzy theories, Petri nets, neural networks, and data mining to develop the various neuro-machine interface systems. A brain-computer interface (BCI), sometimes called a brain-machine interface, is a communication channel between human brain and external machines in aid of electroencephalographic or other electrophysiological activity analysis of brain. It can give alternative communication and control pathways for patients damaged on their brains and additional communication channels for normal persons for controlling of computers or other machines. Researches on BCIs have been going on for more than 30 years, but from the mid- 1990s there has been a dramatic increase in working experimental implants. Years of animal experimentation have successfully produced simple working implants applicable to humans for restoring damaged hearing, sight and movement. The common thread throughout the research is the remarkable cortical plasticity of the brain, which often adapts to BCIs, treating prostheses controlled by implants as natural limbs. With recent advances in technology and knowledge, pioneering researchers could now conceivably attempt to produce BCIs that augment human functions rather than simply restoring them, previously only the realm of science fiction. 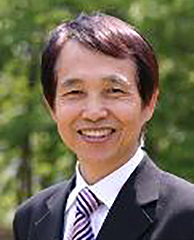 Professor Lee is an associate editor of Journal of Advanced Intelligence and a member of KSBBI(Korea Systems Biology and Bionformatics), and IEEE Computational Intelligence Society.